Forward-looking: Earlier this month, Samsung teased its October 11 Galaxy event with the tagline ‘4X fun.’ It’s expected that the firm will launch the Galaxy A9 Star Pro at the event, which, despite being a mid-range device, features four rear cameras. Now, a concept render has shown what it might look like—a bit weird, frankly. 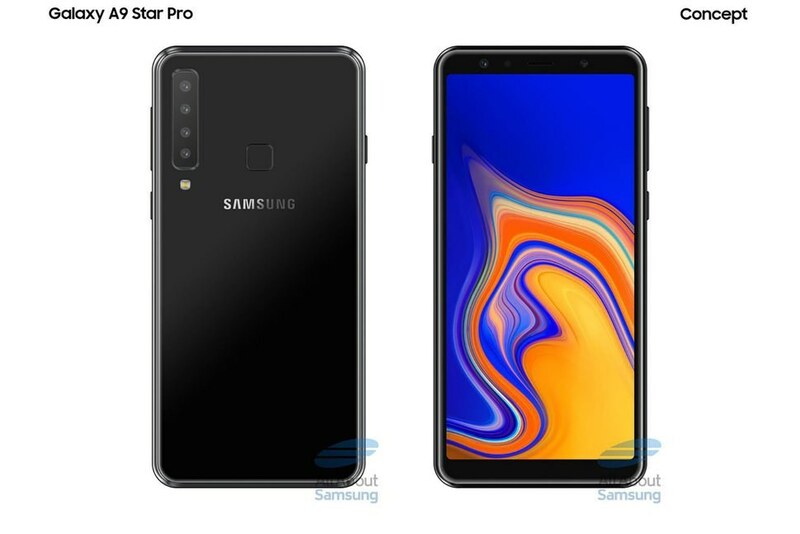 The image posted on German website AllAboutSamsung shows the four cameras aligned vertically on the top left-hand side of the A9 Star Pro’s rear, with a flash sitting beneath the array. We also see a square-shaped fingerprint reader in the center of the phone. It was only last week when Samsung unveiled its first triple rear-camera handset: the Galaxy A7. According to the publication, the Galaxy A9 Star Pro will be quite similar, though the A7’s fingerprint reader is on the side of the phone. Like last week’s device, the A9 Star Pro has an 8-megapixel 120-degree wide-angle camera, a 24-megapixel f/2.0 main camera, and a 5-megapixel depth camera. But while the A7 lacks a telephoto lens, the upcoming handset includes a 10-megapixel zoom camera. The A9 Star Pro also features a front-facing 24-megapixel Sony IMX 576 sensor, a 6.28-inch AMOLED (Full HD+) screen, and a 3,720mAh battery. Despite some impressive hardware and four cameras, the Snapdragon 660 platform puts it in the mid-range category. Samsung has said it wants to bring innovative features to its non-flagship phones, and this appears to be another example of that thinking. We’ll find out just how closely this render resembles the final product on October 11. While Samsung’s A9 Star Pro may have four rear cameras, the Nokia 9 and its reported penta-lens setup could up the ante.